Do you want to work in an energetic, modern, people and eco-friendly studio environment?  The LSW Lighting office is an extremely fast paced environment requiring excellent time management, organizational and communication skills. We are always looking for great people to join our group at our West Edmonton location. If you are someone that meets the following requirements, we want you to be a part of our team. Enjoy working with the public and dealing with customer inquiries. Respectable understanding of lighting is not required but would be beneficial. We offer fantastic hours, competitive pay, clean modern work environment and a generous bonus structure. Please upload your resume in confidence below.